What do you need, a creative agency or a brand consultancy? This post from the poke on how to start a creative agency is actually very funny yet at the same time a sad reflection of the confusion around building brands. Unfortunately, too many firms are under the impression you hire a creative agency to build a brand using creative driven tactics and in particular advertising, that are pushed out across media that few consumers pay any attention to. And even if the advertising is on digital platforms, it rarely understands how consumers live their lives, the environment they are advertising in and the needs of those consumers. The ‘suits’ as they are called of the agency seem to have an almost hypnotic power over clients. And when they tell potential clients that the way to build a brand is with creative driven advertising that costs a lot of money they nod and write the cheque. Then, when you ask the suits (if they haven’t moved on to another company) why the advertising didn’t work, they often blame the client and tell him that he shouldn’t have approved the initial campaign or the campaign was right but he didn’t spend enough money the first time around. And the only way to solve the problem is do it all again and despite failing the first time, they are the team for the job. 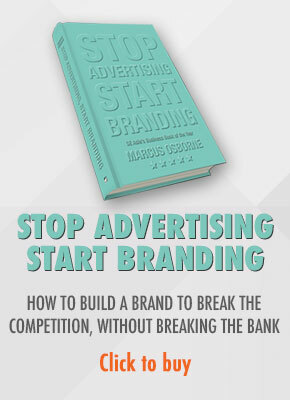 Sadly, most clients will agree and waste yet more money on a creative campaign that rarely helps build the brand. Some advertising is very good but that doesn’t mean it works. The reality is that most advertising doesn’t work, especially with millennials who have seen their parents let down by so many products that failed to deliver on promises made through creative driven advertising. Instead they trust the opinions of their friends or others like them who share their space and their interests and have no ulterior motive but to help a friend or like minded soul. Authentic Brand consultants understand this better than any creative agency. 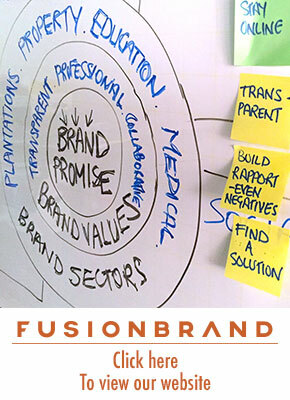 They know that to lay the foundations for your brand you must develop a customer centric organisation that looks at delivering economic, experiential and emotional value to customers at every touch point and every time. Sometimes this involves advertising but more often than not, it requires nothing more than improvements to the delivery system. It’s not as cool as advertising but it is much more effective. And more often than not, it’s a lot cheaper and improvements are immediate. For more information on the difference between a brand consultant and an advertising agency, please read this.